For the past few months, we’ve been learning how to sew and we can’t lie, it’s not the easiest thing we’ve ever done. Even so, we’re loving every second of it. 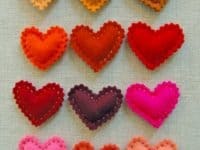 As we learn, though, we can’t help wishing that we’d learned the basics of good sewing techniques when we were a lot younger because we’d have had so many more years to perfect and develop our skills. In fact, we’ve wished so many times that we’d learned to sew as kids that we’ve actually decided to help our kids learn how to sew! 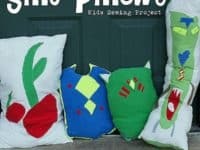 Check out these 15 very simple sewing projects that are fun and totally achievable for beginners, making them awesome projects for kids. 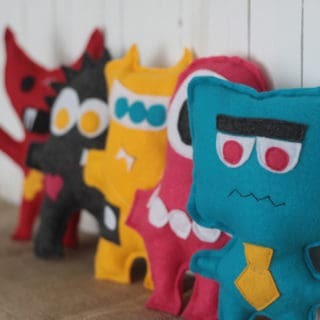 Charm Stitch guides you through the process of choosing a fun fabric and cutting out two cloud shapes, then very simply seaming them together along the edge before stuffing and finishing them. 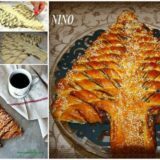 This might be a better second or third project than a first one since there are curves involved and most beginners prefer to start with straight lines, but it’s definitely a super fun contender for people are are still learning! 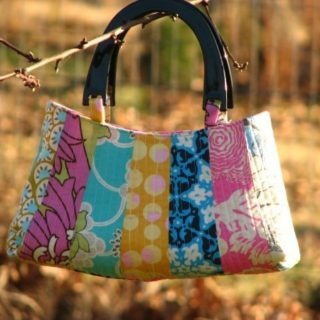 If you’re going to learn how to sew, you might as well sew something you can actually use or wear, right? We’d argue that, when you’re learning and doing many things, it’s also worth sewing things that make good gifts for the people around you! 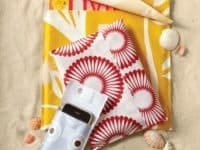 Martha Stewart suggests sewing these adorable reversible scarves with a simple plain side and a fun patterned side. Perhaps you’re already a great sewer with a large collection of frabic scraps yourself and you were hoping to find something a little smaller to start your kids off with? 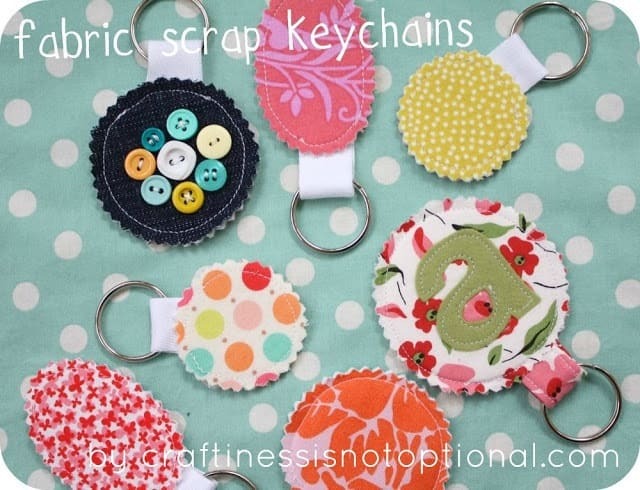 Then these fabric scrap key chains might be more along the lines of what you’re looking for! 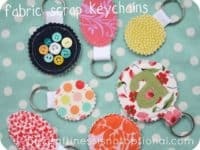 Craftiness is Not Optional shows you how to scallop the edges, make the loop for the key ring, and even add some cute embellishments. 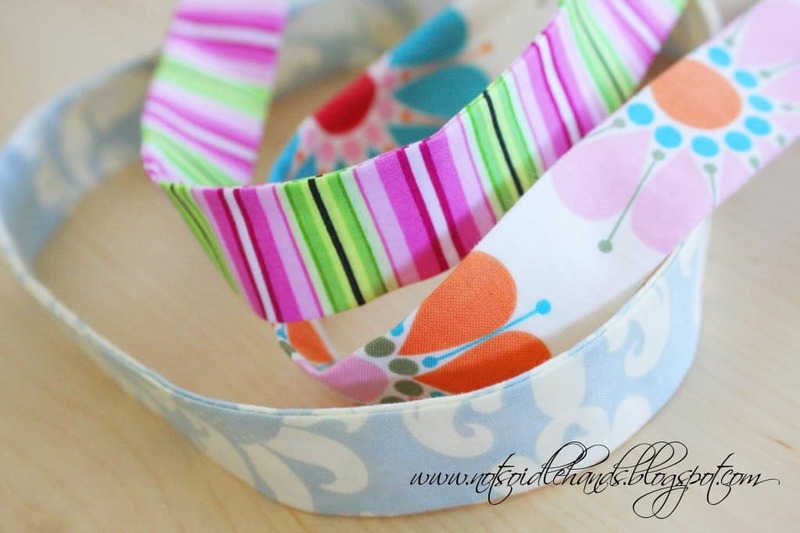 Have you recently made your niece or daughter a cute dress and now she’d like a matching headband too? 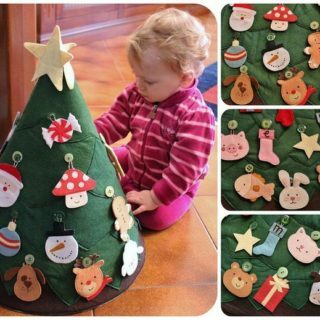 Get her to help you make it with the super simple pattern from Not So Idle Hands! You might make both sides of the hairband from the same fabric so it matches the dress no matter how it’s worn, or switch fabrics on one side so it’s a reversible accessory. 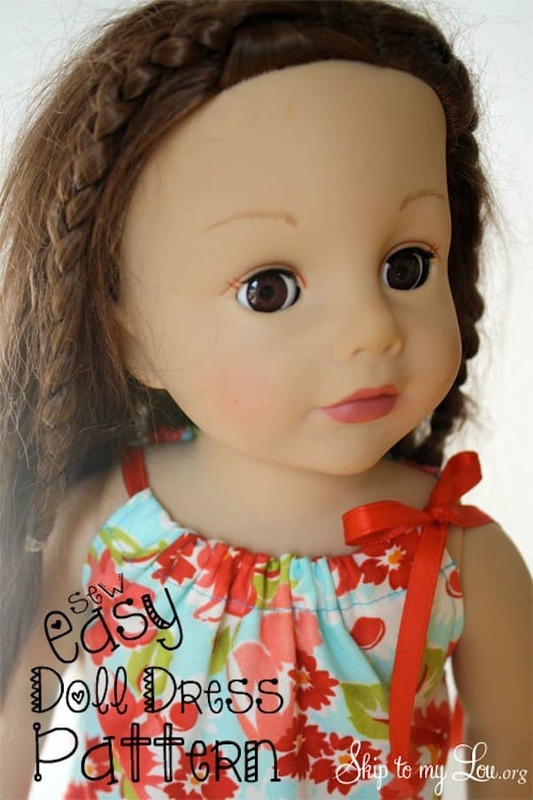 Are your kids as obsessed with American Girl dolls or other similarly sized dolls as ours are? 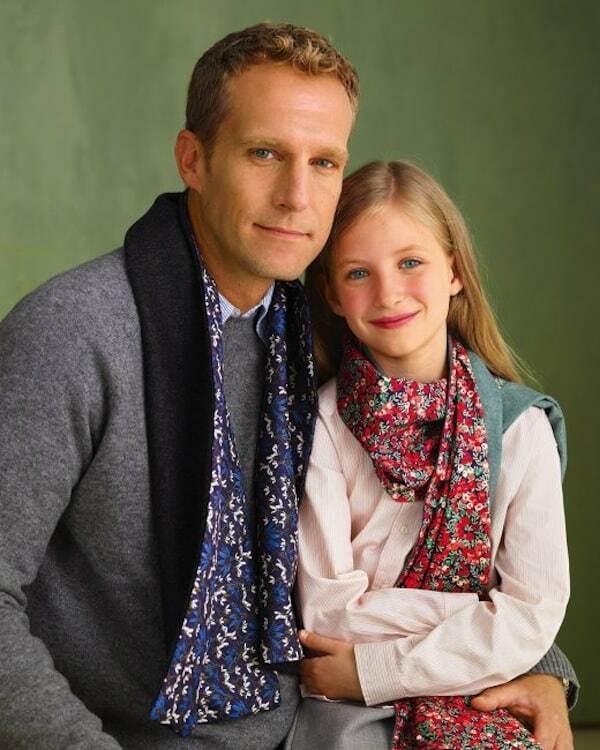 We have more doll clothes and accessories at home right now than we do accessories for the kids themselves. They’ll be thrilled to learn, then, that you’ve decided to make their next sewing afternoon a lesson in sewing yet another dress for their favourite dolls, but this time in whatever fabric they like! Check the pattern out on Skip to My Lou. 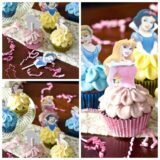 Would you rather start your kids on something less expensive than fabric while you test out whether they’ll really like sewing and want to stick with it? 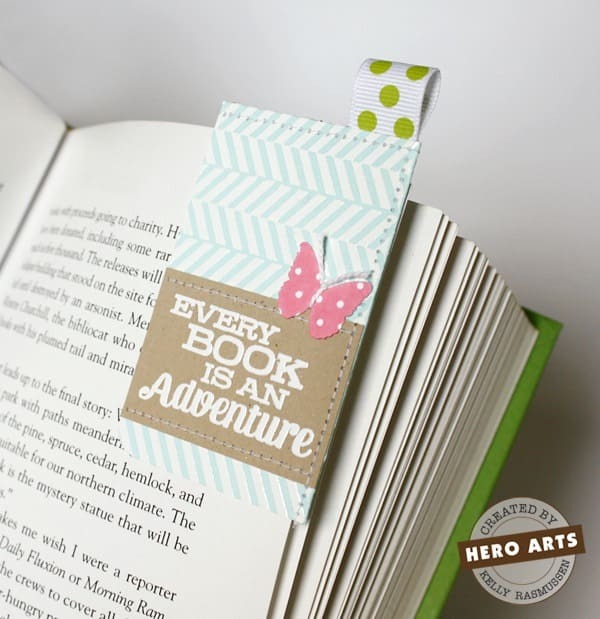 Then KR Creations suggest using crafting paper or card stock! 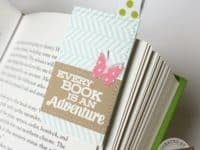 We love their idea of sewing a cute corner page bookmark from patterned paper so that you can encourage your kids to read more while you teach them to sew. Even if they decide sewing isn’t for them in the end, at least they’ll have made a useful new novelty craft! Some of the easiest things to sew are little fabric covers and baggies in simple square and rectangular shapes. 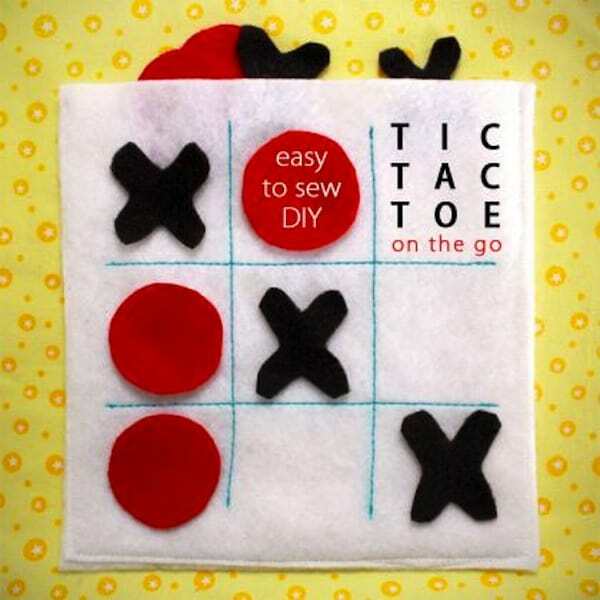 Luckily for beginner sewers, those are actually surprisingly useful things to sew as well! 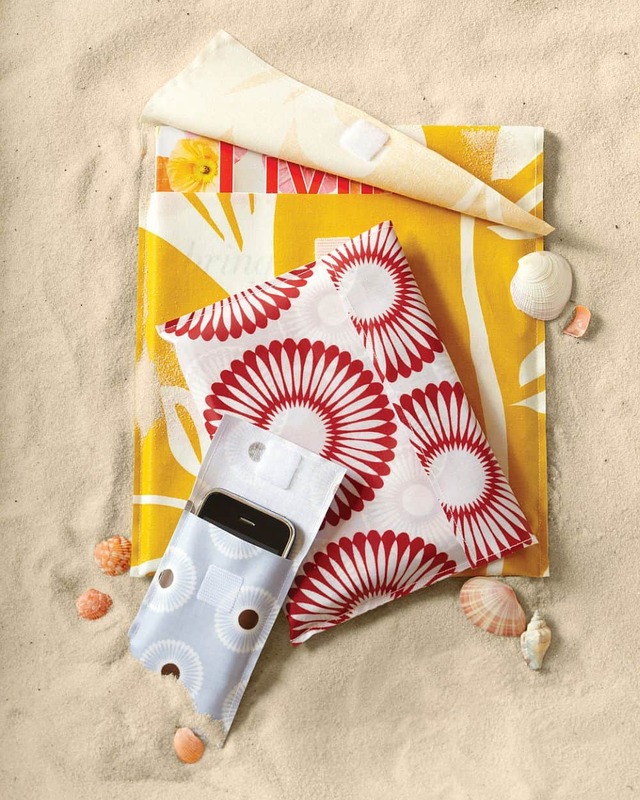 We love Martha Stewart‘s idea of sewing simple fabric covers in different sizes and using them as beach covers for your expensive electronics so they stay protected from the sand while you enjoy the sun. 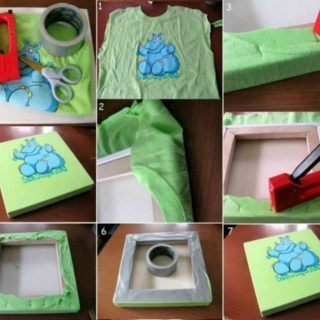 Do you and your family have a pile of old shirts that need upcycling or repurposing? 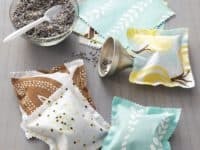 Hang onto them for crafting with your kids because, if you find the right pattern, that’s like coming across free sewing fabric! 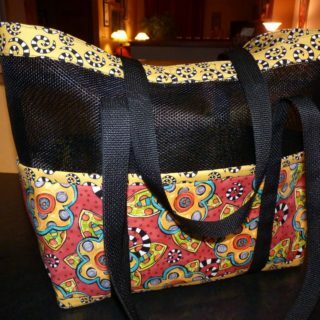 One such pattern is this little t-shirt tote bag from Not So Idle Hands that’s perfect for carrying small things to and from the grocery store and will teach your kids about seaming. 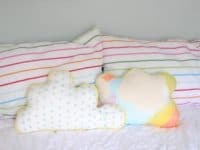 Do you think the kids are ready to sew small things with curves rather than just straight lined seams? 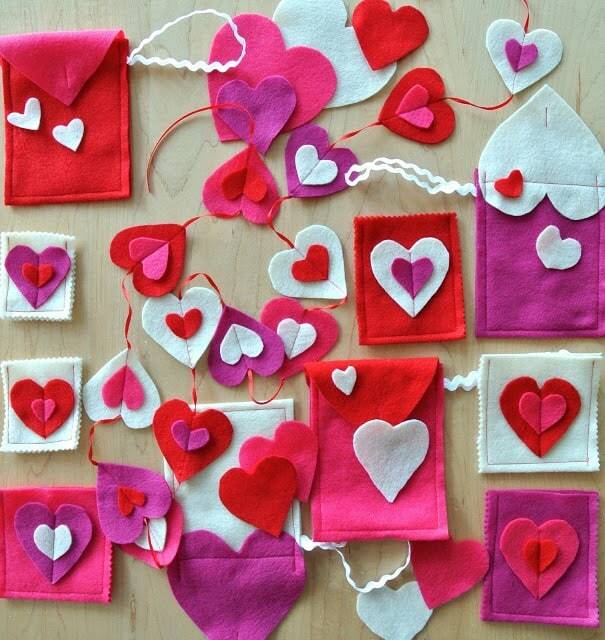 Then grab some pink or red felt in different shades and help them cut out heart shapes with crinkly scissors! 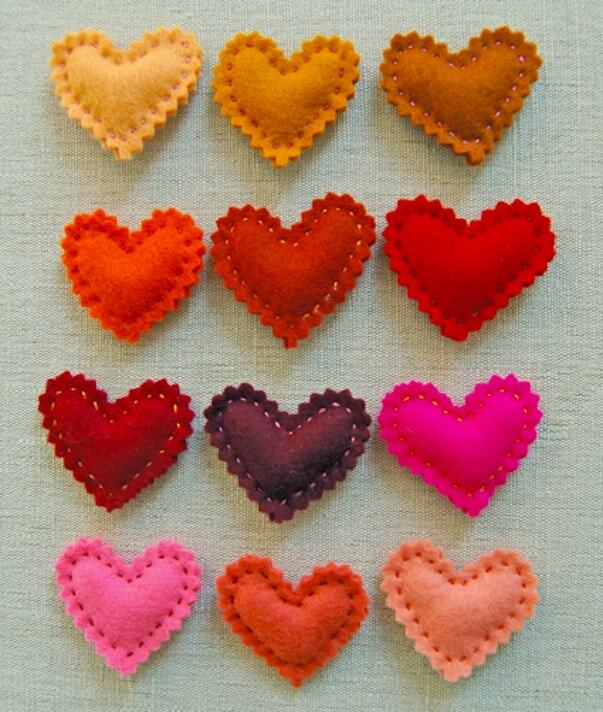 We love how Purl Bee made these cute little Valentine pins with visible seams on the outside for a bit of character. 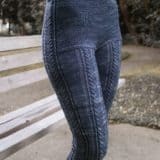 Maybe simple straight seams in a rectangle are actually just what you need to really help your kids perfect their technique and also make themselves something they can use and be proud of? 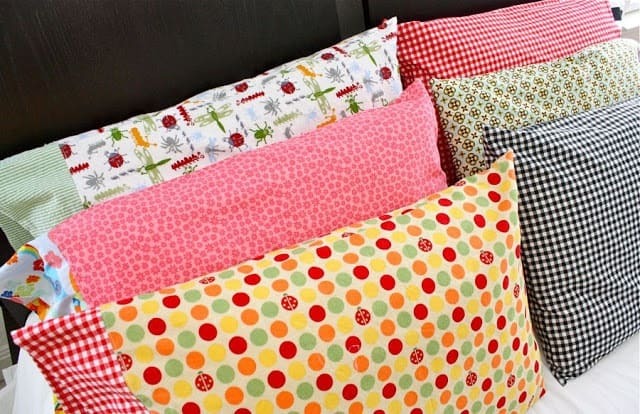 Then pillow cases are the ideal project! 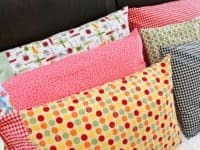 Pick some crazy, fun fabric and follow the simple instructions on Make Every Day. 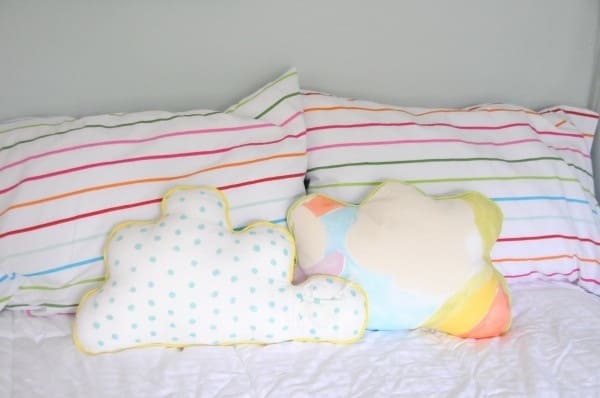 Do you like the pillow idea but you’re not sure a regular old rectangular pillow will hold your kids’ attention for long enough to get it finished? 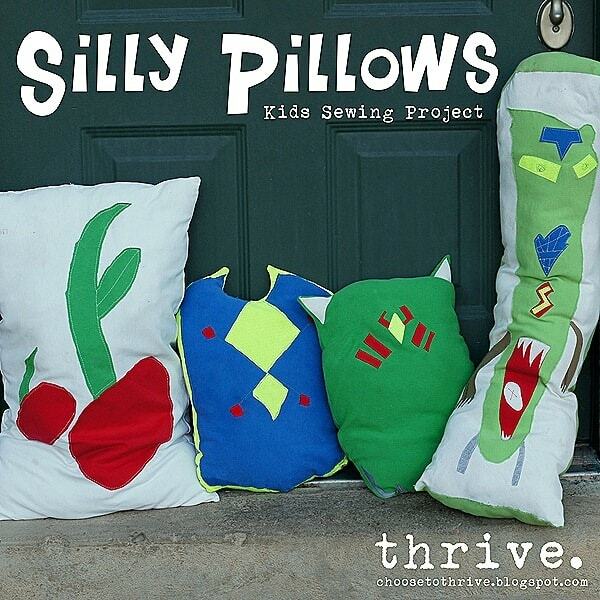 Hold their attention a little better by making these silly multi-fabric monster pillows from Choose to Thrive! 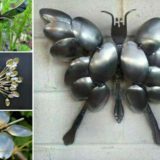 Follow their examples or make your very own kooky shapes instead. 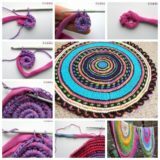 Are you just starting with your kids and trying to avoid things like invisible seams and curved movements on the sewing machine for now? 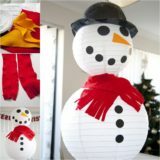 Then get them to practice just literally sewing a straight line on some white felt in a nice, bright colour that they can see easily! 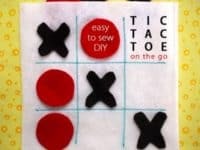 Instead of just having them do a boring practice swatch, however, try helping them make this cute and very simple little felt Tic Tac Toe game from Disney Family instead. 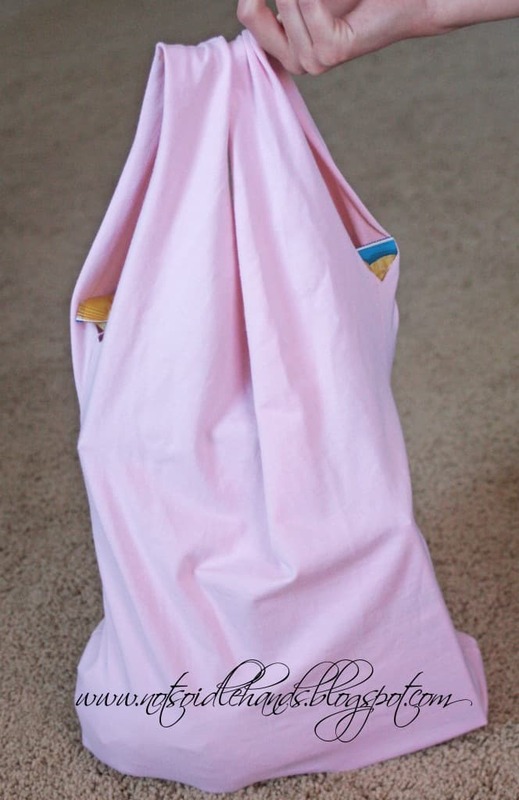 Some fabrics are more difficult to sew than others, or at least feel very different than the practice scraps you might have been practicing on with your kids until now. 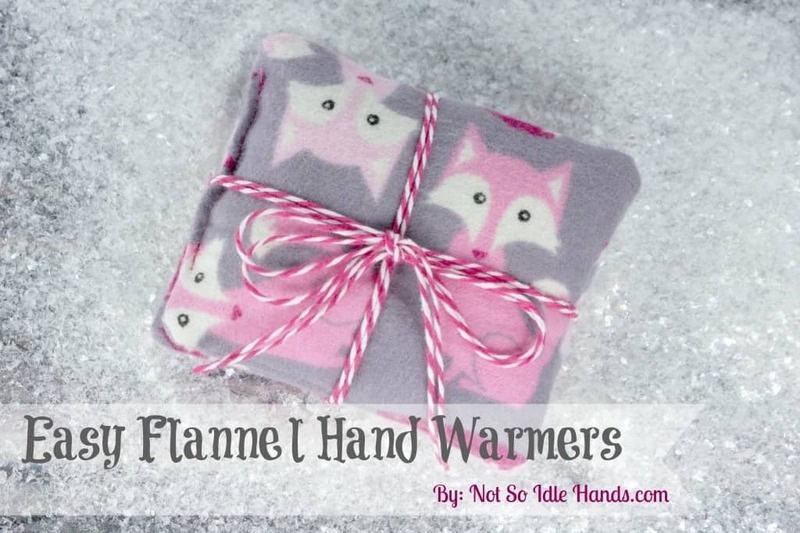 That’s why Not So Idle Hands suggests getting them to try and make a simple pair of hand warmers from something a little thicker: flannel! 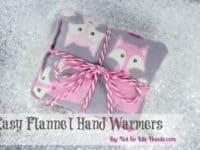 Once the hand warmers are done, your kids will have fun either giving them to a friend or loved one or wearing them. 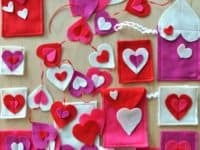 Did you like the idea of sewing something simple and Valentine’s Day themed, but you’re not sure anyone your kids knows really needs a heart shaped pin? 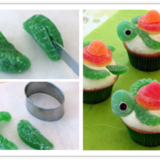 Check out these little Valentine’s candy bags instead! 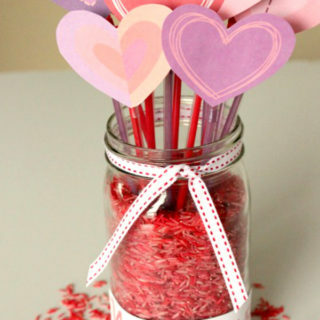 Your kids’ Valentines will certainly be the most unique in the pile if they fill these with candies and notes instead of just writing names on little pieces of cardboard. 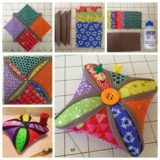 Val’s Corner has the pattern for you. 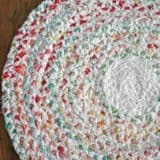 Here’s another great example of a useful beginner’s project that doesn’t take a whole lot of concentration on things like invisible seams if the kids aren’t quite ready for that yet but are still raring to make something new. 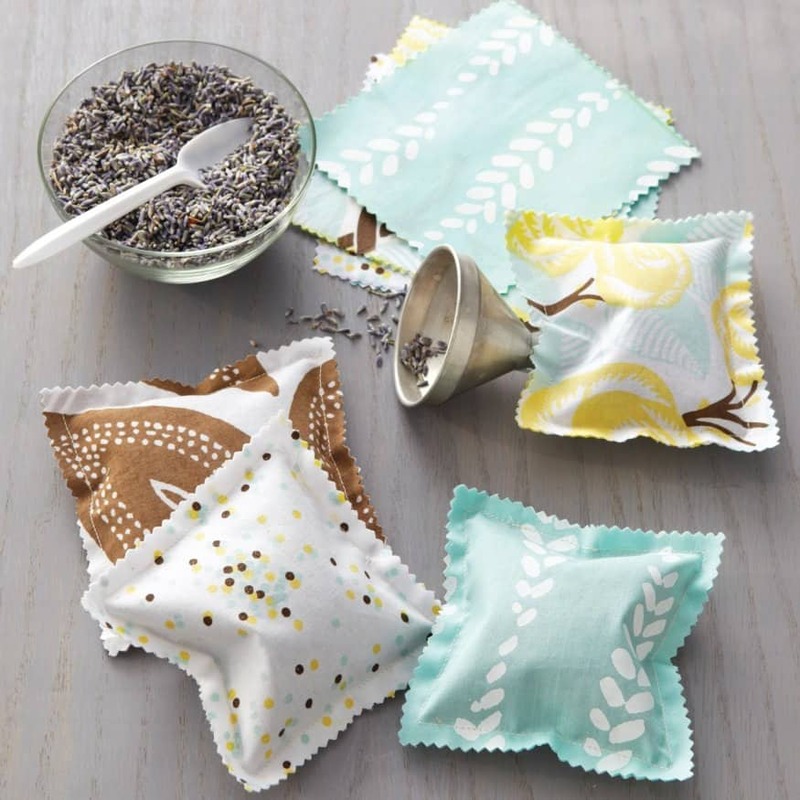 Martha Stewart‘s little lavender sachets are a great way to get them measuring and cutting things like simple squares themselves.